Well done to Maura Finn whose picture book Rose's Red Boots is short-listed for the 2018 Speech Pathology Awards. 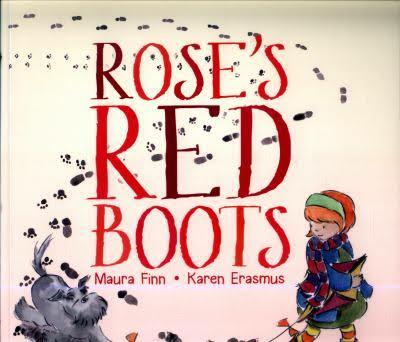 Congratulations to Virginia Lowe who has been made a CBCA Honorary Life Member (for services to children’s books). Certainly, well deserved! Good news for Mary-Ellen Quirk whose manuscript Jellyfish Blues, judged by Lisa Berryman, Children’s Publisher at HarperCollins Publishers won the Category 6 in the Young Adults competition run by CYA. 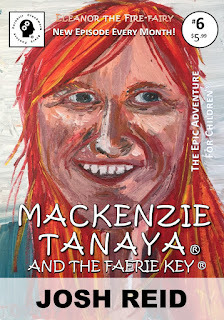 Well done to Josh Reid who has recently published Mackenzie Tanaya and the Faerie Key, an adventure serial novel for children. Target range 7 - 12 years. Told in monthly episodes, the sixth installment in this series has now been released, published by Fernhill Clockwork Story Factory, Wollongong, Australia. This story, centred around 10-year-old Mackenzie Tanaya, is a compelling adventure series which teaches children to become strong, brave and courageous. Frequent themes throughout the episodes include: making good friend choices, choosing which adults to trust, being brave enough to do the right thing. Each episode of the children's serial novel is written and illustrated by Josh Reid, who wrote the book for his daughter. Reid paints half a dozen original paintings for each monthly publication, which are published in full-colour A5 paperback. The novel series is ongoing and Reid estimates there will be about 30 episodes. The monthly publications are available from selected retailers including The Comic Cafe in Wollongong, and Fairy Meadow Post Office. The first 3 episodes are also available digitally as Amazon Kindle e-books.